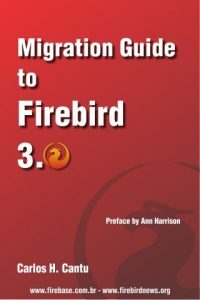 Firebird Project is happy to announce general availability of Firebird 2.5.5 — the latest minor release in the Firebird 2.5 series. On .net provider list Rick Roen is writing a utility to change user password , the best way to change it is from sql :). Read the user create/delete/update notes. The new DDL command ALTER USER enables an “ordinary” user (a regular Firebird user, a non-root user on POSIX or a trusted user on a Windows system where trusted authentication is enabled) the ability to change his or her password and/or personal name elements, while logged in to any database. Downloads can be found on this page. Also the press release is ready. Debian packages for the official Firebird 2.5.0 release are available. Because Debian is in a “freeze”, preparing for its stable release, these were uploaded to the experimental distribution.